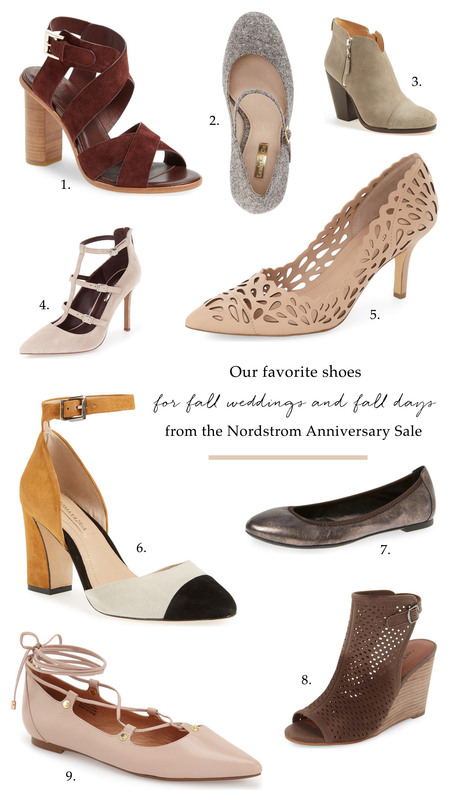 So, it’s that time of year – the Nordstrom Anniversary Sale! So many great things on sale over there and we of course have shoes on our mind with lots of great picks for fall weddings + fall events! And I hear ya, hard to think about fall with the heat wave this week here in LA, but a sale is a sale!! I’m going to scoop up those booties (over $170 off!!!) as well as those pointy lace up flats which are only $60!! The sale is currently only for Nordstrom Cardholders, so if you don’t have a card make sure you sign up here to access the sale before everyone else – and to scoop up your fave finds before they sell out! Might be a good to time to scoop up some gifts for the bridal party as well? Happy Shopping!